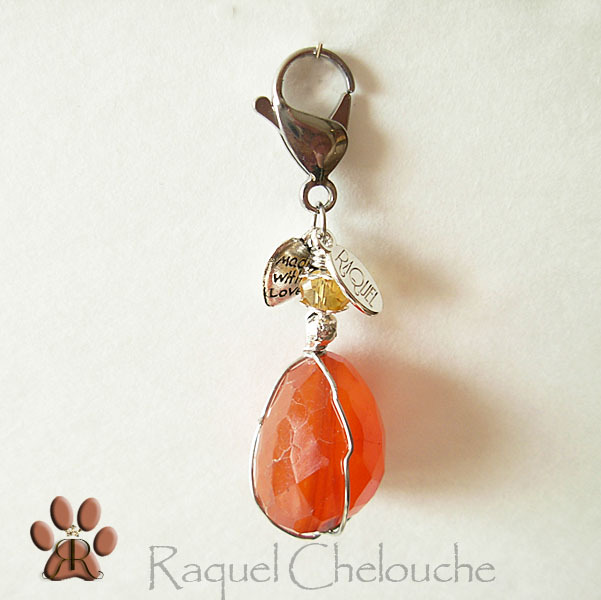 My love for gemstones and their magical properties has inspired me to make jewelry for animals. 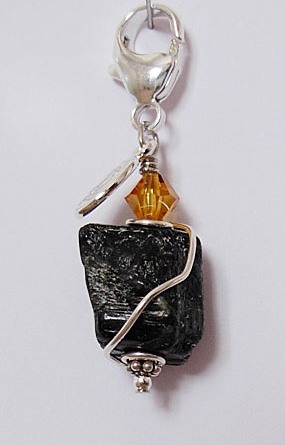 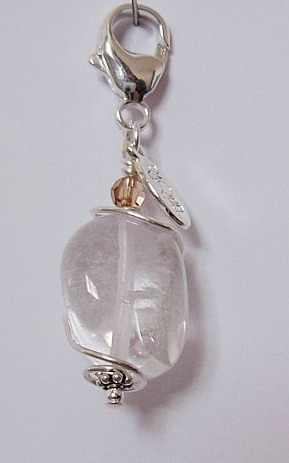 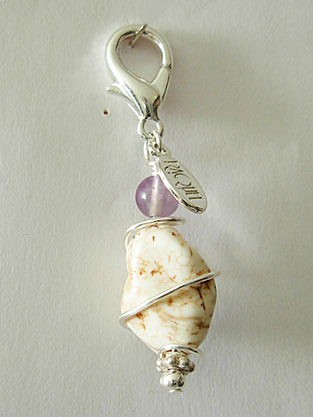 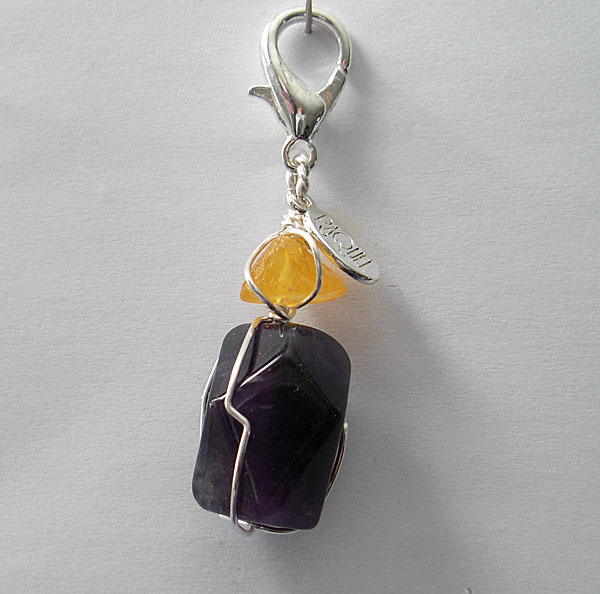 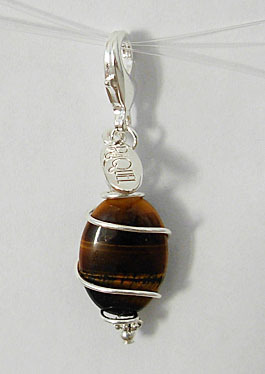 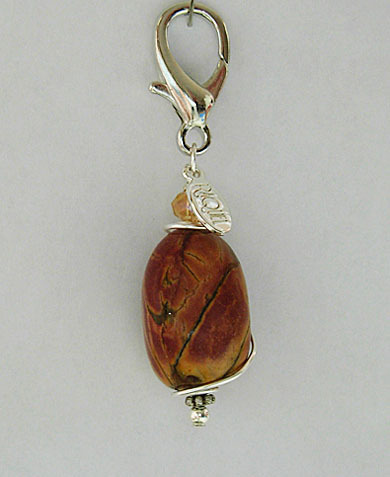 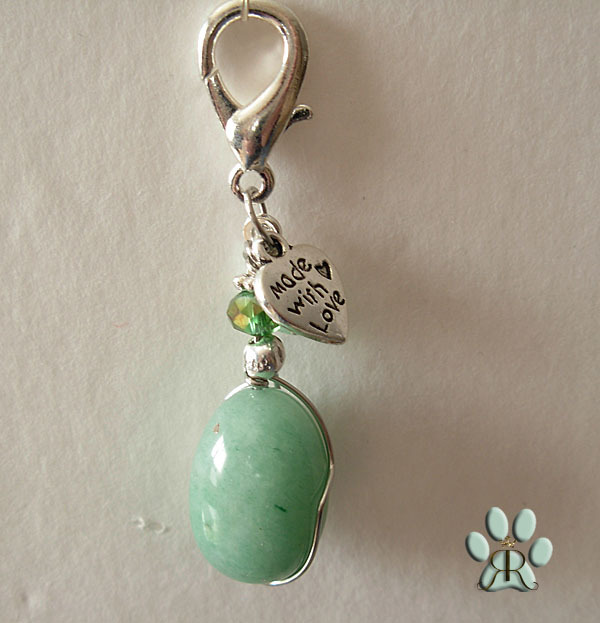 As I enjoy wearing gem stones for protection and healing I thought to help our beloved pets. 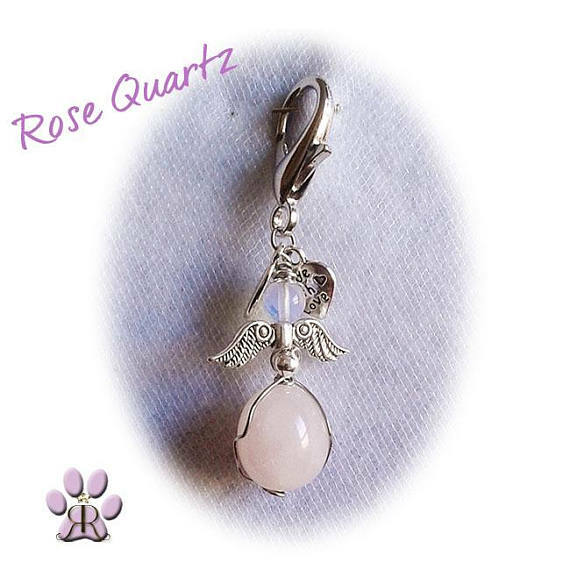 The exquisite gemstones and crystals are not only a beautiful piece of pet jewelry, they bring powerful "New Age" healing properties that influence and balance your pet's chakras. 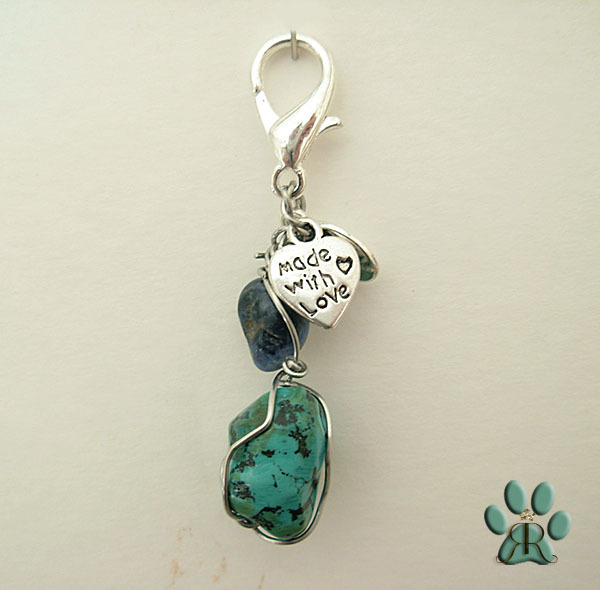 Each Pawmulet is handcrafted with semiprecious gems. 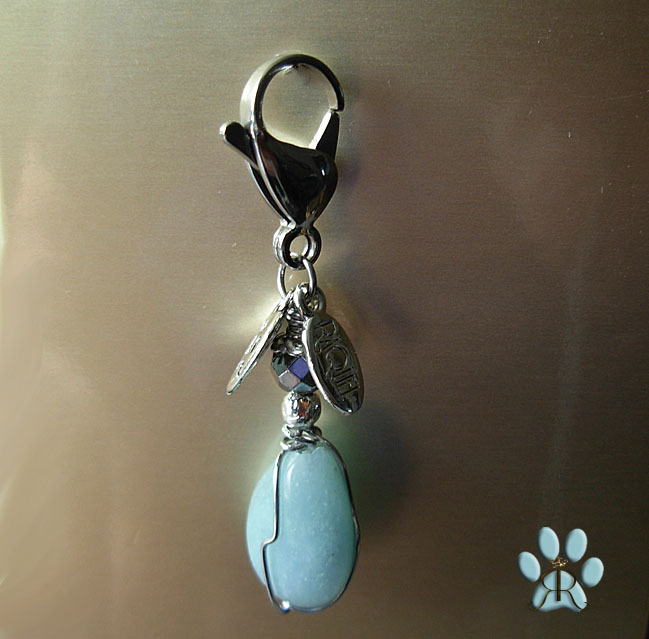 A silver lobster clasp attaches to the pet's collar ring and is accompanied with a split ring to accommodate any size of collar ring. 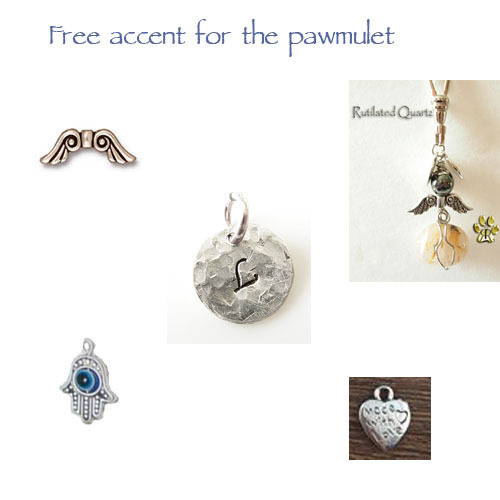 Complimentary Free hand stamped disc with the Intial of your pet name. 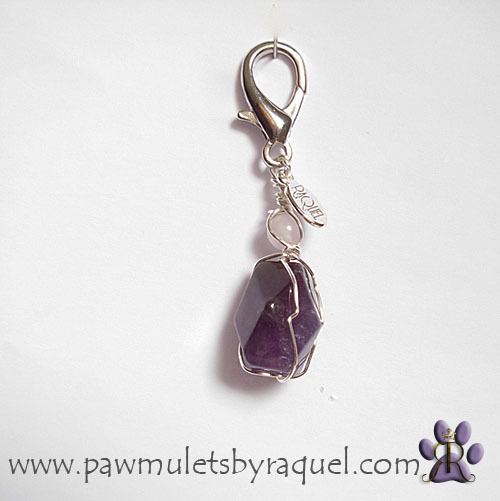 Below is a list of crystals and stones that will benefit your pet. 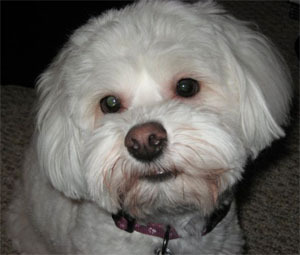 Animals can respond very quickly to the healing energy of crystals and stones. 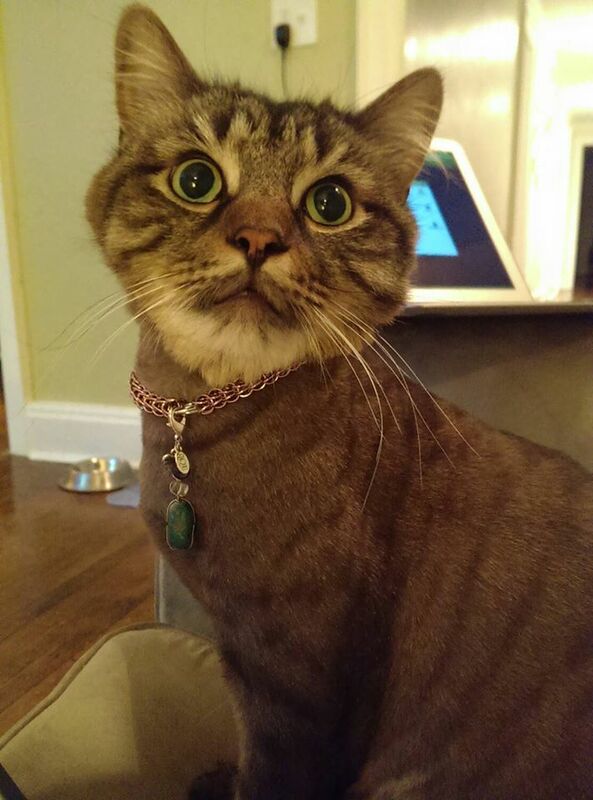 However, remember to seek the best available competent medical advice for your pets. 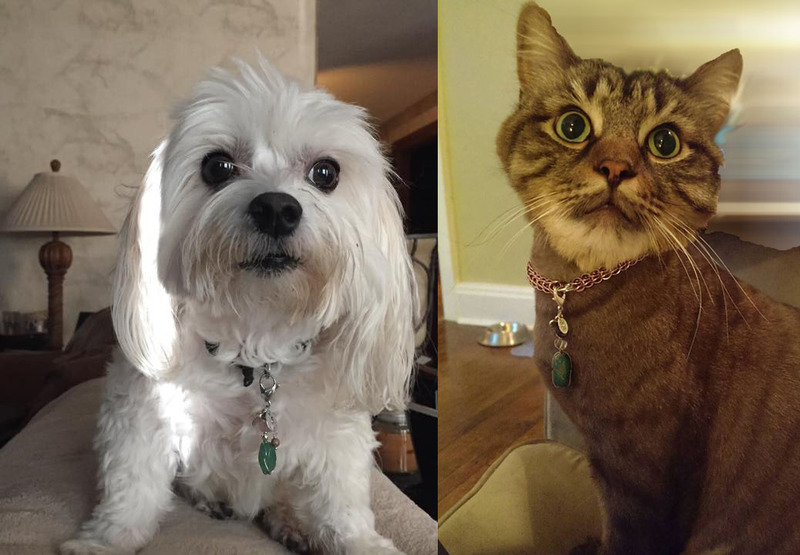 Using crystals for healing pets is not intended to replace the advice of a professionally qualified veterinarian.